Apple is aware of the bug and is working on a fix which should be out later this week. The Apple FaceTime bug lets you eavesdrop on the receiver of the call. This is without the knowledge of the receiver of the call. The bug can expose video of the receiver of the call as well. A new bug has been discovered on iOS devices. The bug lets you listen in on people's conversations when the call hasn’t even been answered by receiver. The bug in question affects Apple’s FaceTime and gives one the ability to hear the audio of the receiver even before the call has been answered. Because of this bug, FaceTime users can listen in on each other discreetly. Apple is aware of the issue and is working on a fix. In the meantime the Cupertino giant has taken group FaceTime offline. 9to5 Mac has listed a step-by-step process by which the bug can be replicated. 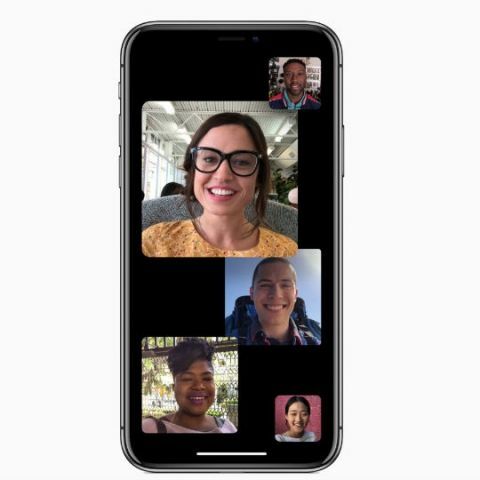 To replicate the bug, users need to start a FaceTime call with their iPhone (you can call another iPhone user for this). While the call is dialing, the user needs to swipe up from the bottom of the display and tap Add Person. In the Add Person option, add your own number and this will initiate a Group FaceTime. When the group FaceTIme is initiated, you will be able to hear the audio of the person you originally called even if they haven’t accepted your call. The bug is affecting devices running iOS 12.1 or later. In this scenario, even if the receiver of the call presses the power button to mute the call, his/her audio will be audible to the caller. This will enable them to listen in on the conversation as long as the phone is ringing. The receiver of the call will only see the incoming call screen as they usually do. 9to5 Mac replicated the problem using an iPhone and a Mac. By default, the Mac rings for a longer duration when compared to the iPhone. So it is possible to eavesdrop for a longer duration when calling a Mac compared to an iPhone. The publication goes on to say that the bug can expose video too. This is a major breach of privacy, especially for a company that thrives on giving users the best privacy possible in a day and age where users' data is traded like trump cards. The FaceTime Bug comes at an inappropriate time for Apple. The company has seen a fall in sales of its iPhones. Shipments of the iPhone fell 22 percent in China in Q4 of 2018. China is one of the biggest smartphone markets in the world. In the past years Apple has put in considerable efforts in markets like China and India but the high cost of the iPhone is one reason for falling sales of the company’s best selling product. Why people install apps like ccleaner etc in ther phone though they know that they do not clean memory ? Why do they say a computer has a computer bug? Do you people have any video tutorial for cake php?